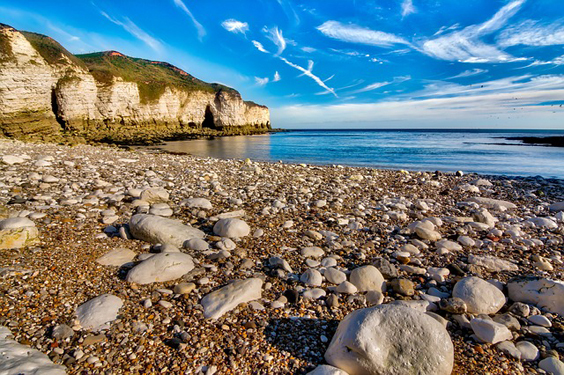 The North Yorkshire coast is one of the UK’s most visited destinations. Between April and July last year, 2.847 million domestic trips were made to the Yorkshire and Humber region. Meanwhile, 1.4 million visits were made to the North Yorkshire coast between 2013 and 2016, according to Visit England. Holidaying at home rather than overseas with your spouse is becoming increasingly popular with £13 billion spent by Brits each year. With so much glorious coast to visit, here’s how to make the most of your couple’s road trip to the region. You first need to determine how you will get to North Yorkshire. One option is to get the train into one of North Yorkshire’s busiest stations, such as York, Middlesbrough or Harrogate and then hire a vehicle so you can explore the North Yorkshire coast at your own leisure. You should select your choice of car wisely. A small car may be cheap to run, but you may struggle to get all your belongings in it and with the added weight it may be tough to build up a speed. Ideally, choose a medium-sized vehicle which is easy to drive and has good fuel efficiency. You should always ensure that you’re covered to drive the vehicle you hire and that your insurance is valid. In 2017, the average length of a domestic holiday trip in England was 3.34 days, according to Statista. Therefore, when you reach the North Yorkshire coast it’s vital you choose the locations you’ll visit wisely. A great place to start is at Whitby where you can climb and count the infamous 199 steps, discover shipwrecks and delve into the Dracula story. From there you can head to picturesque Robin Hood’s Bay. The small fishing village is tucked away from the main beaches and offers splendid waterfront views which are perfect for couples to admire as they stroll through the streets. Ravenscar is just a 7-mile walk from Robin Hood’s Bay, but it can be a tricky one. Support your spouse as you make your way up and down Cleveland Way and reward yourself by stopping at the National Trust Cafe where you can enjoy some well-earned refreshments while taking in the stunning near 360-degree views. Before you head home, you must visit Hayburn Wyke which is home to a beautiful waterfall. The water feature looks breathtaking in photos, so be sure to grab a few snaps of you and your partner standing in front of it before you go. Once you’ve enjoyed the beach, you’ll find a peaceful walk in the nearby woodland where you are likely to encounter roe deer and badgers. Once you’re done exploring the coast, hop back into the car and end your stay in one of North Yorkshire’s finest hotels. North Yorkshire is home to Visit England Awards of Excellence ‘Hotel of the Year.’ Harrogate’s Rudding Park won the prestigious gold award and offers guests a luxurious stay. The four-star AA hotel boasts a spa, two restaurants, a kitchen garden and two golf courses, ensuring that you experience only the best during your road trip. If you’re after somewhere a little less lavish, opt for The Bruce Arms in Masham. Based near Ripon, the pub recently won bronze in the Tourism Pub of the Year and provides a restaurant service and accommodation. A road trip around the North Yorkshire coast is the perfect road trip for any couple. You should plan your trip carefully and ensure the vehicle you hire suits your requirements. Be sure to stop by the outstanding sites of Whitby, Robin Hood’s Bay, Ravenscar and Hayburn Wyke during your visit and ensure you enjoy a luxurious night or two in one the county’s award-winning accommodations.